Christmas ! Late afternoon, hot toddy in hand, feet up, stomach full, dozing by the fire, cuddling a pet or loved one. All is well in the world ! COME ON ! SING-A-LONG WITH ME ! An excessively large gas bill! And an excessively large gas bill ! Five cold call rings ! It’s Christmas ! Not a time of Season or Holiday. It’s Christmas ! A time when Christians celebrate the birth of Jesus. So what’s with all this Seasons Greetings and Happy Holidays tripe ? PC dictates that we must not upset the Muslims by openly saying Merry Christmas. 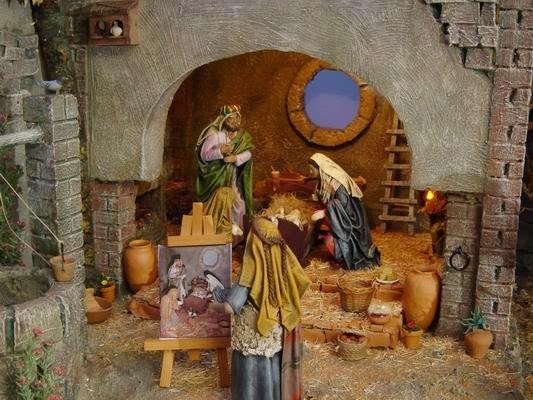 Schools in Europe are banning Nativity plays … mustn’t upset the Muslims ! Well, if the Muslims are upset, then they should bugger off back to their own countries and carry on celebrating their own traditions of whining and beating the crap out of each other over there, not here in Europe. I am also totally against those idiotic control freak lawmakers as I am not going to be told by some drunk unelected politician or snowflake that I cannot celebrate Christmas, talk about it, enjoy it and keep our traditions. Merry Christmas everyone, inc. Muslims, drunk unelected politicians and snowflakes ! And yet again, Merry Christmas dear ones ! Is This Song Your Christmas ? If so, or if you know someone in this situation, reach out to them as I am doing to you. All I can offer you is love and hugs from Natascha, myself, Murli, Samantha and Sonic. Take care my friend. The original song lyrics were slightly altered by Ralph. The Christmas card was created by Natascha. That’s quite the song Ralph, a very MERRY CHRISTMAS to you two from Canada. Natascha! The Christmas card is wonderful. YAY! I’m not religious, but I was raised Catholic. I say MERRY CHRISTMAS! I’m drunk, annoyed by politicians, hope Muslims wish me a MERRY CHRISTMAS, as I wish them a “Happy Ede” Love all my LGTBT friends, and watch the accumulating snowflakes from Jeep’s window. It used to be my window, but Jeep has informed me otherwise. Love to all of you from all of us! Natascha smiled and said thank you to your lovely words dear Resa. She had fun making up the card on her phone. She says the apps are better on it. Neither of us are religious, Natascha was also Catholic and I was Church of England, but respect the tradition of the birth of Jesus and enjoy the Christmas festivities. We also say MERRY CHRISTMAS to one and all. What a fun comment from you again dear friend. I know that feeling about cats hogging the window. I wanted to switch on the Christmas lights in the front window, but was barred by Murli until she had enough of staring at the street and got down off of the window sill. Cats are the bosses. Agreeing with both of you! I have no issue if someone would like to wish me Happy Diwali, Happy Hari Rasa, Happy Islamic New Year, Happy Chinese New Year, Happy New Year, Happy Easter, Happy Buddha Day, Happy Thor’s Day (Thursday), Happy St Patrick’s Day, Happy Halloween, Happy Thanksgiving, and so on. Apart from Christmas, I would also like to wish you belatedly a happy Boxing Day, a joyful Saint Stephen’s Day, and a joyous Kwanzaa from 26 December 2018 to 1 January 2019! Why? Because the 26th is a day celebrating all three! May you realize all of your visions and achieve whatever goals you have set yourself in 2019! What a wonderful comment from you dear Christine. I was not sure about publishing my rant, but living in a city full of migrants of a completely different culture has become unpleasantly personal especially for Natascha and other local women like her. I will probably do a future post on the realities we face daily. I do hope that Christmas in Graz goes smoothly. i truly love all of the holidays and traditions -merry christmas ! Merry Christmas to you two from India🎅🎄🎁 Beautiful card💖. TY my friend I can imagine 😄 ! Merry Christmas Ralph and Natasha. Ralph, you always have me both laughing and thinking. Your song is so funny and tells me you also have a high heating bill …. and love officials. 😊 . As to the various faiths in the world, why can’t all e.g print their cards with the messages that is right for them? How should that be a political decree? with loving Christmas wishes to you both and your charming cats 🎄🤗🌟 . Thank you so much dear Miriam and a very MERRY CHRISTMAS to you too. No, not really, we don’t have a very high gas bill. When creating the lyrics for the song I needed something that was right and fitted perfectly, the gas bill was spot-on. Oh yes, I love officials … NOT ! I know, it is really easy for all religions to respect each other, but no, they all think that their religion is the only right one. One day soon we will know the truth. What great lyrics for the song! Your gas bill must be high… just turn that fire down 🙂 Love the beautiful Christmas card Natascha! Wishing you and Natascha ( and the cats) a very merry Christmas with all the sparkles and jingles you can imagine. Enjoy the festive season! Thanks dear Ute 🙂 No, our gas bill is not that high, even though we have the heating on all day. We pay a fixed amount every month and at the end of the year the company adjusts the amount. If we have paid too much then the next year the monthly payments are reduced and vice versa. The bit about the gas bill in the song fitted perfectly I thought. Natascha asked me to thank you for loving her card. And the same to you, do have a wonderful Christmas my friend. Je te souhaite une très belle fête de Noël. amicalement 🙂 . You’ve found your true calling, Ralph! A song lyricist. Eat your heart out Elton John. Merry Christmas to you and Natascha and the cats. I’m sure you had a great time with your lyrics. They are, unfortunately, reality. The U.S. government just had a shutdown which is not as drastic as it sounds. Most people will continue to work and get paid. BUT it is a sign of the times that “the people” want something and the politicians are ignoring that. Honestly, migration is not a right. To be allowed into someone else’s country is a privilege that must be requested and granted. I am a U.S. citizen, and I had to jump through all kinds of hoops to get permanent residency in Mexico so that I can enjoy both places. I would think you had the same experience in Spain, Ralph, and I know you did in Austria. Being nice to other people is not the same as the liberal Political Correctness where they are the only ones who do and say the right things. Thank you so much dear wifi for explaining what you have been through and what you think about migration. At last we have an Austrian government who has had enough and are clamping down hard on human traffickers and their clients, most of which are young men with no intention of enhancing the country they are entering as they are only after the freebies and benefits. They group into gangs,, verbal abuse thrown at the local women, trash everywhere, parks and streets especially at night become no go areas, so it was time for the Austrians to say enough is enough by voting in this new government. I agree, the legal way to migrate is the only way. Love it just love it. Merry Christmas And Happy New Year to you both. Daisy Mae and I Love your Christmas. Didn’t have your mailing address or would’ve sent you a card. I was thinking about you though. If this is your Christmas post, Merry Christmas to you all! Mine is up in 12 hours. Thank you for blitzing thru a few of my posts the other day. Sorry I had no big “news” about Christine and I. 2018 slipped through our fingers. I will not let that happen in 2019! I like your personalized song. I have seen some “ruder” ones! I wish you the best because you seem like a nice guy but I gotta say goodbye. Good luck. I’d consider season’s greetings or happy holidays to include all the holidays of the season which (in the USA anyway) runs from Thanksgiving through New Years. People said that here long before the annoyance of political correctness. Even way back when kids had Christmas vacation from school instead of winter vacation. For a specific holiday people say Happy Thanksgiving, Merry Christmas, Happy New Year, or Happy Hanukkah. To quote another song, have yourself a merry little Christmas. Merry Christmas Ralph, Natascha, and cats. Wishing you both the best Christmas ever! Sometimes I just think politically correct people take offence when real people actually don’t. I hope you had a happy Christmas with your lovely wife. Thanks Ralph. Merry Christmas. We were very blessed with family here. Love your card. I say “Happy Holidays” often because I am not going to see the person over Christmas AND New Years so I am wishing them Happy BOTH Holidays! I also say Merry Christmas and Happy New Year. I love wishing people Happy New Year well into the New Year. Right? Why not? I want them to be Happy even if it is past January 1st! Happy belated Christmas my friend. I appreciate when people speak their mind, good for you, it is very rare to find that today. There is no democracy anymore, we all have to agree to the same beliefs, values, morals, etc. etc. in order to be accepted. So, say it like it is and don’t worry. Happy New Year. I hope it started the right way. Just be yourself, I love people who speak out and don’t fear what people say. I am the same way. So far the year is going well, I hope yours is too. Thank you for visiting my blog and commenting Sunstev. I am pleased that you enjoyed this post. I’m copying the words, thanks for posting it Ralph, and compliments of the season. Compliments to you my friend and I hope you are having a wonderful New Year. On sad note, I lost my my Ace a few weeks ago, my 6 year old Doberman, a great, great loss, as I loved him so so much, but in writing I have found some solace. See you soon.. Hugz… National hug day, did you know? Yes Alana, it has been a while since the warrior has published a post. Can’t wait to see what you have got in the pipeline. So sorry that you have lost your pet. That’s the second blogger this week who has lost their doggie. So sorry, I do understand. Three french fries is more than I could reasonably expect from anybody. As a kid I was fascinated with the actor Arthur Treacher, from his movies with Shirley Temple (which were a mainstay on UHF channels), Mary Poppins and of course, his fish & chips. So, yes, indeed, salt & vinegar. Serve ’em up!